FEDERAL & STATE PROCEDURES require child abduction cases to be handled expeditiously and given priority to the Docket. Hague cases (including appeals) are to be handled in six weeks - An appeal was filed to vitiate the Foreign Judgment with the Texas 5th Circuit Court of Appeals NINE MONTHS AGO with evidence corroborated by the U.S. Department of State confirming (1) conspiracy to abduct Alessia, (2) the foreign judgment was procured by fraud, (3) Bart was denied Consitutional Right of Due Process to have his case heard. II. THE UK WAS WITHOUT JURISDICTION to render a judgment entitled to any recognition in the courts of Texas [or the United States]. Newly discovered evidence corroborated by U.S. authorities now confirms: (1) the Foreign Judgment was procured by fraud; (2) the foreign country did [not] have jurisdiction over Alessia; (3) the foreign judgment was in violation of the Hague Treaty's purpose and objectives; and (4) the American father was denied adequate Due Process and Natural Justice to: (a) present his case pursuant to Art 30 of the Hague Convention followed by (b) TWO foreign orders which refused Bart an opportunity to adduce CRITICAL evidence to confirm the procurement of fraud in [both] the lower court and the UK Court of Appeals. III. PURSUANT TO LAWS OF SEVERAL INTERNATIONAL TREATIES Alessia should be returned to her 'Home-State' jurisdiction 'forthwith.' England did [not] have jurisdiction to make a determination over Alessia. CIV PRACT & REM CODE § 35.003 (c). In effect, a motion to contest recognition of a foreign judgment operates like any post-judgment motion to directly attack a final judgment in the United States in post-judgment proceedings. Thus Ms Bradshaw of Koons Fuller made the following argument on Bart's behalf: "
A Movant on a timely filed motion for new trial is entitled to an evidentiary hearing. Hensley v. Salinas, 583 S.W.2d 617, 618 (Tex. 1979)." "Movant (Bart Hermer) was not accorded such a hearing despite his request." See fresh evidence filed in the Texas Court. VII. THE UK ORDER WAS "UNCONSTIUTIONAL"
When the foreign judge gave an extraterritorial effect to Texas Law, or alternatively [no] effect regarding Alessia’s Home-State jurisdiction, it was acting less than sovereign; and by not ordering Alessia’s return to her proper jurisdiction as defined under both the UCCJEA TFC §152.102(7); and under Federal Statute, 28 USCS § 1738A (b)(4); the foreign court acted in a way that not only defeated the objectives and purposes of the Convention… it was potentially ‘unconstitutional’ to Alessia and her father and therefore non-recognizable by the United States. VIII. Finally, newly discovered evidence collaborates Bart's defense that conclusions throughout the whole of the foreign judgment were ‘demonstrably’ contrary to the weight of the evidence. XI. VIOLATION OF HAGUE CONVENTION ARTICLE 30 “Any application submitted to the Central Authorities, or directly to the judicial [or administrative] authorities of a Contracting State in accordance with the terms of this Convention, 'together with documents and any other information appended thereto or provided by a Central Authority, [shall] be admissible in the courts or administrative authorities of the Contracting States” [emphasis added]. * CRITICAL evidence was not allowed during the lower court OR in Bart's request for 'permission' to appeal, despite efforts made by U.S. & U.K Central Authorities ( See Hague Convention; Article 30). XII. PROTEST LETTERS of concern were written and submitted by the U.S. Department of State (the U.S. Central Authority) as well as by the Lord Chancellor’s Department (the UK Central Authority) and by the Chairman of the Global Missing Children’s Fund, confirming: "CRITICAL evidence to establish Alessia’s abduction was attached to the father’s Application pursuant to Article 30 of the Hague Convention and therefore should have been admitted.” The Department of State 're-attached' the critical evidence and re-submitted it (again) to the UK Central Authority, but to no avail. The Global Missing Children Fund (GMCF) wrote directly to the President of England's Family Division, affirming their organization: "has first-hand knowledge there is in fact CRITICAL evidence the UK would be suppressing which is relevant to his case of supporting that the "habitual residence" status of the child is and always has been the U.S."
ENGLAND'S LEGISLATION holds the same language in their country; SPECIFICALLY declaring that FOREIGN judgments: "[shall] be set aside if the registering court is (iv) satisfied that the judgment was obtained by fraud; or (v) that the enforcement of the judgment would be contrary to public policy in the country of the registering court." * Scroll down to the section beginning with: "Cases in which registered foreign judgments [shall] be set aside" pursuant to UK Legislation known as UK Foreign Judgments (Reciprocal Enforcement) Act 1933. "THE SECRET SHAME OF ENGLAND'S FAMILY COURTS"
"The public policy of this State is to: (1) assure children have frequent and continuing contact with both parents, shown to have the ability to act in the best interest of the child;... (3) encourage parents to share in the rights & duties of raising their child after parents have separated or dissolved their marriage"
Alessia’s Father did not have the benefit of a [fair] adversarial proceeding as he was unable at various stages of the proceedings to adduce arguments & evidence considered relevant to the case within terms of Articles 30, 23, and 8(g)(f) of the Convention, and/or Article 9 of the United Nation's Convention on the Right's of a Child (UNCRC). Alessia’s Father did not have an opportunity to effectively challenge arguments and evidence (erroneously) adduced by the opposing party with 'reliable & available' evidence that was submitted to the Central Authorities of BOTH the United States & United Kingdom pursuant to Article 30 of the Hague Convention. All of Bart's arguments which should have been viewed objectively and relevant to the resolution of Alessia’s case were not duly heard and/or were not examined by the UK trial Court OR the UK Court of Appeals, OR the United States' courts. Therefore any 'alleged' factual reasons the UK court relied upon (now proven false by various U.S. Authorities) were made arbitrarily and counterfactually. Thus the foreign decision was [NOT] arrived at fairly or impartially and must be vitiated. a party may challenge jurisdiction by demonstrating (1) service of process was inadequate under rules of the sister state or (2) "the sister state's exercise of jurisdiction offends due process of law." Markham v. Diversified Land & Exploration Co., 973 S.W.2d 437, 439 (Tex.App.--Austin 1998, pet. denied). II. CRITICAL EVIDENCE FROM TWO TEXAS SENATORS a member of the House of Representatives, Texas Police, and nearly twenty (20) Affidavits and statements from various U.S. & UK retailers, rabbis and mutual friends were individually submitted to the U.S. Central Authority to irrefutably illustrate the British mother committed fraud and deception to remove Alessia. Senator Florence Shapiro and TX House of Representative Jerry Madden wrote directly to the British High Court, asserting that the British mother (herself) "had just reasserted Alessia's home to be in Texas FIVE DAYS before leaving on vacation." (a) TX Civil Practice & Remedies Code § 36.005; (a):Paras 2, 3: "A foreign judgment is [not] conclusive if the Foreign court did [not] have jurisdiction over the person or the subject matter. "A judgment rendered by [any] court lacking subject-matter jurisdiction is [void] not just voidable." (c) Fraud, deception, & misrepresentation can NOT change habitual residence. Newly discovered evidence 'confirms' Simmone's conspiracy, fraud & deception to secure the wrongful removal of Alessia from the United States and that her "her act of removal was ‘surreptitious’ and the immediate intentions of the mother and the arrangements for removal ‘were concealed from the father and designed to present him with a fait accompli." [taken verbatim from prior a UK Hague Case that should have applied to Alessia's case]. IV. UK POSITION ON FRAUD IS THE SAME AS THE U.S. The United States guarantees a party the right to a 'public' trial and the right to appeal all the way to the Supreme Court. However, England does not ensure opportunity to perfect adjudication. Family courts in the UK are: (1) forbidden public trials and (2) if a party feels a UK judgment was obtained in error, they must first ‘ask permission’ to appeal. England not only operates closed, 'secret' proceedings in family cases, "but parents are stopped by court orders from reporting anything that happens inside them." (See the BBC Special Report below). Alessia's father was given such a gag order. VI. In the UK, if 'permission' to appeal is denied, a party has no further right to appeal to the UK Supreme Court; (even as in Alessia's case) to confirm the judgement in the lower court had been procured by fraud. VII. Alessia’s father immediately filed for “permission” to approach the Court “with reliable & relevant evidence that would plainly illustrate the Court was 'misled' and that the foreign decision was obtained on fraud.” Not only was Bart's 'PERMISSION' to appeal refused… he was denied permission to submit (or adduce) any evidence to prove the judgment had been procured by fraud. The result was a horrible perversion of justice that would be considered just as repugnant to the Laws of the United States as they would in the UK. The U.S. Chamber Institute for Legal Reform published a document on October 2011 on "Abusive Foreign Judgments" which demonstrates why comity—when properly understood—will require U.S. courts to deny recognition and enforcement to ANY foreign judgment that violates the U.S. Constitution and/or "other deeply rooted domestic principles." 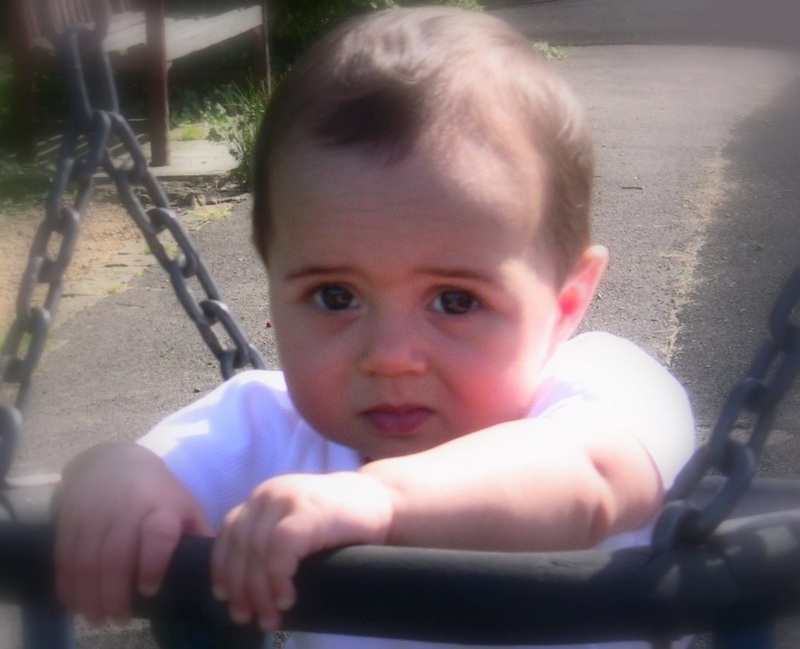 "SECRET SHAME OF ENGLAND'S FAMILY COURTS"
* How did this go so 'BadlyWrong? * Please Contact These People ASAP!